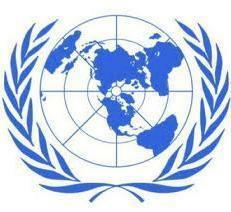 We do not elect anyone who works for the United Nations, nor can we have them removed from their positions should we discover they are corrupt or that they do not represent people but really represent global corporations! In all cases, corporations need to be subservient to humans NOT partners with – as corporations are merely dead legal fiction profit-generating machines! The United Nation’s Millienium Development Goals partners represent global corporate interests – not people. Just look at the partners listed: World Bank, World Trade Organization, International Monetary Fund. These are the same entities that John Perkins explained in his book Confessions of an Economic Hitman which describes the ongoing construction of the corporatocracy. The people of the planet do have a common threat to us and our children’s future that the United Nations will NEVER mention, that is the growing global corporatocracy. The Corporation was created by flesh and blood humans (lawyers and bankers), won the rights of humans after the passage of the 14th Amendment, and now this dead legal fiction has more power than the flesh and blood humans that created it. As it is merely a dead legal fiction it cannot deconstruct itself. It is up to us flesh and blood humans to recognize its destructiveness and create a new business model – one that works FOR humans and our natural earth NOT against us. The Corporation (with no limits to growth) is an exploitive Doom Machine that now considers us all to be merely “human resources” or corporate “team members”. At the moment virtually ALL PROGRAMS coming from the United Nations are designed to advance globalization on behalf of the corporatocracy. For example, there have been so signs of the United Nations, the WTO or the World Health Organization opposing Monsanto’s GMOs or terminator seeds! The villanization of carbon dioxide is merely a ‘tool’ (Carbon Dioxide Doesn’t Cause Global Warming) created by the globalists to find a way to create a global taxation system FOR the globalists. Helena Norberg-Hodge gave a great 18 minute lecture on globalization. Please consider sharing the above short clip. It demonstrates the incredible waste of resources/energy and increase in pollution that have resulted from globalization and the creation of a global corporatacracy. These are the very same issues the UN is attempting to address WITHOUT acknowledging the cause. The United Nations continues to waste its time negotiating with ‘governments’ who have long sense been over taken by the central bankers and their multi-national corporations!! This entry was posted in corporation, Sustainability and tagged corporations, millenium goals, Sustainability, united nations, World Bank. Bookmark the permalink.